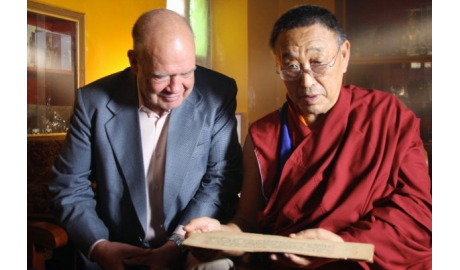 His Holiness shows Gene the only text he had with him when he fled Tibet. Four Bon monks praying from texts at the Menri Monastery at Dolanji. 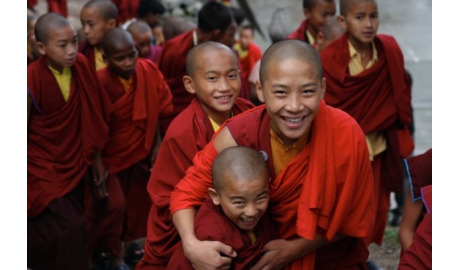 When ancient writings of Sanskrit and Tibetan texts vanish during the political turmoil of the 1950s and 1960s, the history of a whole society-–its beliefs, customs and sense of enlightenment-–is in danger of disappearing. Enter destiny in the form of American pacifist E. Gene Smith, a Mormon from Utah, the unlikely leader of an effort to rescue, preserve and share these early insights of mankind’s consciousness, from the medical to the mystical. Crossing multiple borders – geographic, political and philosophical – Digital Dharma is an epic story of a cultural rescue and how one man’s mission became the Purchase Viagra catalyst for an international movement to provide free access to the story of a people.